You might think that you no longer need a mortgage broker since you already tried buying a property before. You went through a long process, and you are confident that you can handle things on your own this time. There is nothing wrong with taking a huge risk and getting a new property without expert advice. However, it is still better for you to hire someone who can help you in your quest to buy a new property. Here are some reasons to convince you. There are several changes in the market, and you can’t expect things to be the same now as they used to be. The process you went through before might not even be applicable today. Banks and lending firms also change their terms and conditions. You can’t conclude that you understand everything especially as changes happen all the time. Mortgage brokers know a lot about banks and lending firms. They can connect you with the right partner. You can’t necessarily trust the same bank that you partnered with in the past. There might be better options available, and you will only know it if you have the best broker by your side. Your financial status also changed. Given your current situation, you need a different partner in buying a property. Back then, you purchased a property that was someone else’s. This time, you are planning to build a new home in which you have control over all the details from scratch. 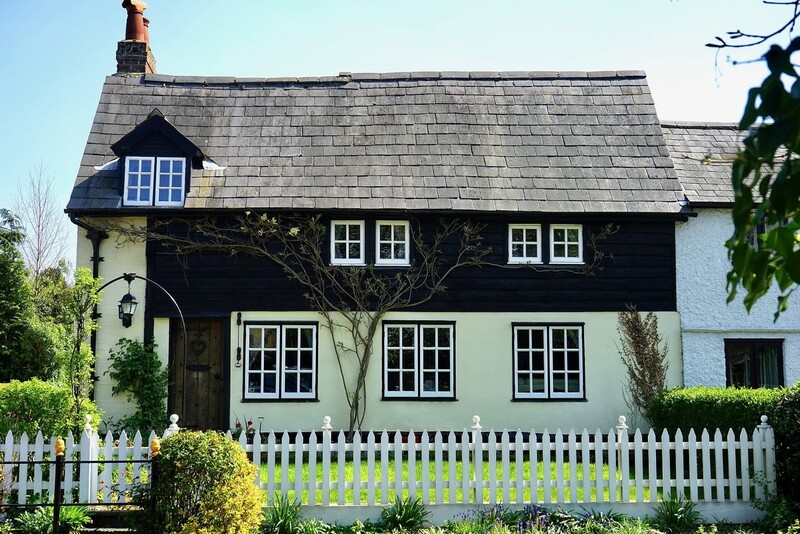 In this case, you need a specialist mortgage broker since it requires different skills and expertise. It is quite complicated, and only an expert in this matter can help you. Just like before, you hired a mortgage broker because you wanted to get the best deal possible. It is not easy getting one if you have no idea of how the market works. You also have limited knowledge when it comes to property purchase. You might know more now after buying property once in the past, but it does not mean you know everything. You still need expert advice to land the best deals. Over the years, you have not followed the trends in the market, and you have only become interested again recently. Expert brokers get constant information since it is their job. They study the market, analyse the trends, explore options, and do everything possible to present their clients with suitable deals. Start your quest for a mortgage broker now. You can partner with the same broker you partnered with in the past, or you can explore other choices. Mortgage brokers are working with firms that you can contact online. As long as you stick with reliable brokers who have a positive reputation, you will never go wrong. You will feel confident that on your second try, you will still get a good deal. 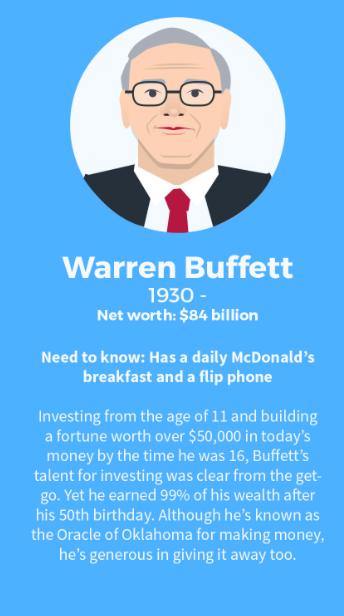 Moneyfarm’s infographic on the wealthiest people in history inspired us to think about what it takes to build wealth. According to Moneyfarm, there are many ways to build wealth. Investing is one of them. For example, Warren Buffet made his billions by investing. So, if you’re not afraid of taking calculated risks like, Warren Buffet when it comes to building your investment portfolio, continue reading to discover how to manage the risks which you take in order to maximize your chances of making a fortune. If you’re interested in doubling or tripling your initial investment, you may want to consider investing in a company which is newly listed on the stock exchange and which could skyrocket in price, in the coming months. Just make sure to research the performance of the company over the last year to see whether its share price is likely to soar before you make an investment. Examples of statistics which are well worth taking into consideration include the recent history of a stock’s share price. In general, it’s worth paying particular attention to a stock’s performance over the last 2 years. As an example, you may find that a stock always increases in price after a small dip and that you’ll be able to make a profit within a short period of time by purchasing a stock for a cheap price, before selling it when it returns to its normal share price. If you don’t have much experience when it comes to selecting profitable stocks, you may want to consider talking to an experienced stockbroker. As they may be able to help you select the right mix of stocks to build an impressive, profitable investment portfolio. As a bonus stockbrokers are experts at interpreting stock market trends and can normally predict when the best time is to purchase and sell certain stocks. Which is incredibly important as to succeed as an investor, you have to know when to buy and sell stocks. As simply purchasing the right stocks, won’t necessarily earn you a sizeable profit if you purchase your stocks at the wrong time or choose to sell your stocks at the wrong time. If you want to take risks as an investor but you don’t want to risk losing hundreds of thousands of dollars, it’s well worth investing in several different companies, rather than investing hundreds of thousands of dollars into a single investment. Remember, that if you change your mind and would like to invest more money in a particular company, that you’ll be able to make another transaction, once your current investment has proven lucrative. As an example, if you’re passionate about property, you may want to consider purchasing an investment property whilst if you’re interested in technology you may be more suited to investing in cryptocurrencies or a tech-related company such as Apple, Amazon, Alibaba or Tesla. So if you’re keen to take calculated investment risks, it’s well worth considering all of the 5 tips listed above. 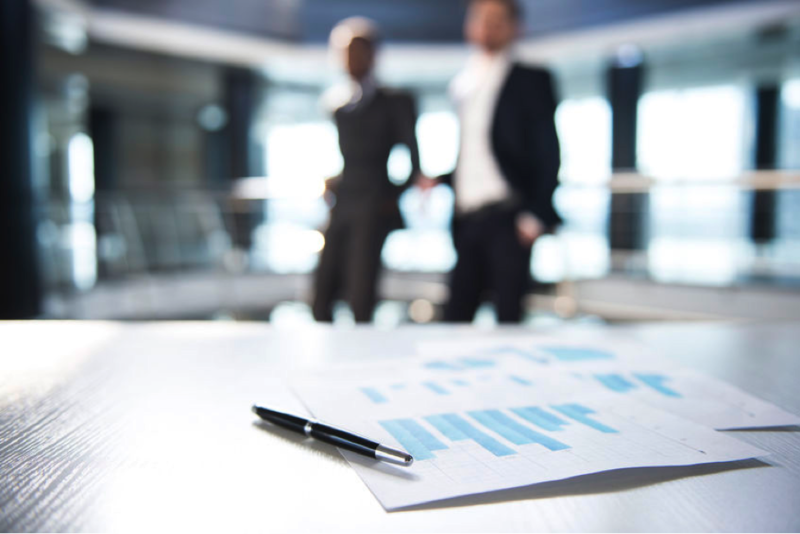 While most business professionals are familiar with the concept of a marketing plan or a business plan, they may have less knowledge about creating an annual sales plan. This document acts as a company’s roadmap to provide direction to the sales team via specific objectives and goals. While some companies write shorter or longer sales plans, the annual plan is the most common. Sales managers typically prepare it towards the end of a calendar year to guide sales operations for the following year. Business results: This covers such things as customer satisfaction, market share, and revenue. It helps to determine an organization’s overall health. Sales objectives: These metrics include such benchmarks as customer retention rates, deal win rates, and new product sales. They help to determine how well each member of the sales team is achieving specific goals. Sales activities: This looks at metrics such as how much training the sales team should receive, percentage of salespeople who use CRM tools, how many customers each salesperson manages, and sales call volume. This part of the sales plan outlines the specific tasks that sales managers and team members complete to attain specific business goals. Creating a high-quality sales plan requires the ability to evaluate how things currently stand. Since each member of the sales team will have different ideas on this, it’s important to allow them to express their views. However, it’s important to limit everyone’s time to speak to ensure meeting the goals of the planning session. Before starting planning for the next year, review what worked and didn’t work in the current year. The goal is to take lessons learned from the current year and incorporate them into the sales plan for next year. It’s a good idea to divide goals into new things to start, things to keep, and things to eliminate or modify. With so many things to include and focus on for the business plan, it’s important to pull everything together and decide on an overarching message or sentiment. Creating a tagline for the sales plan gets more people behind it by generating enthusiasm. Businesses with a strong seasonal focus should consider creating a theme that brings all seasons together with a single statement. There’s no way around the fact that meeting goals takes money. Companies must include how they intend to pay for such things as marketing and advertising, training, and product development to ensure that creating the plan doesn’t require going over budget. Viewing the expenses in terms of an investment rather than an expense is also helpful. After preparing the final copy of the sales plan, the next step is to share news of marketing programs and other activity with customers. Delivering the news in a fun and innovative way gets them behind the plan just as much as the employees and is something to strive towards doing. Correct financial planning is essential for the survival of a company. 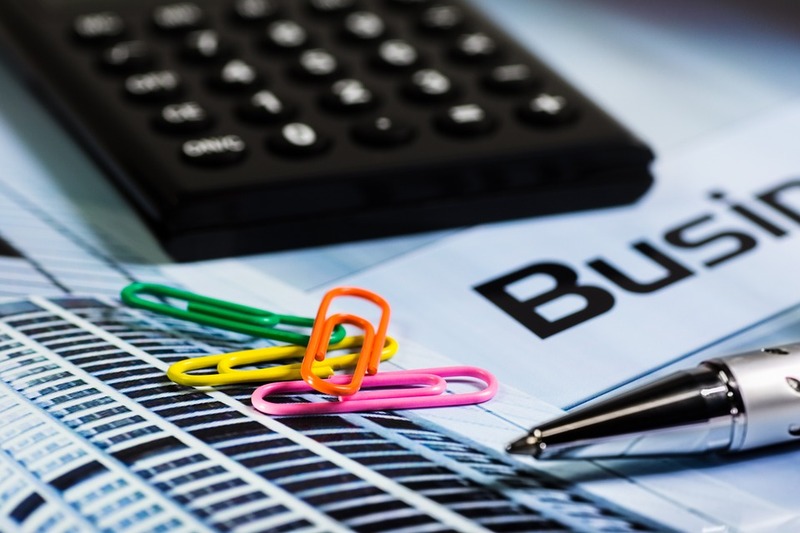 If you have your own accountant in your business, you need to make sure they do these functions for the well-being and future growth of your business. If you outsource your accounting functions, enquire if they can do these functions for you. 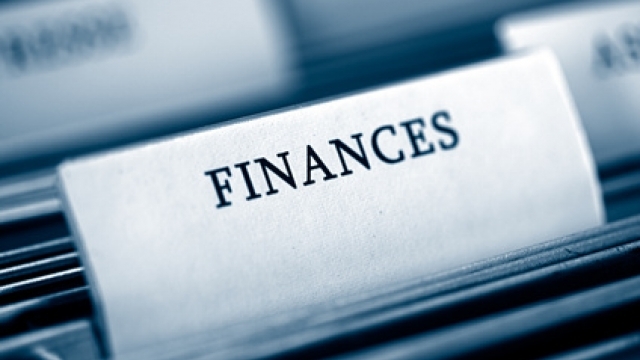 It is important that every SME performs these critical financial tasks. 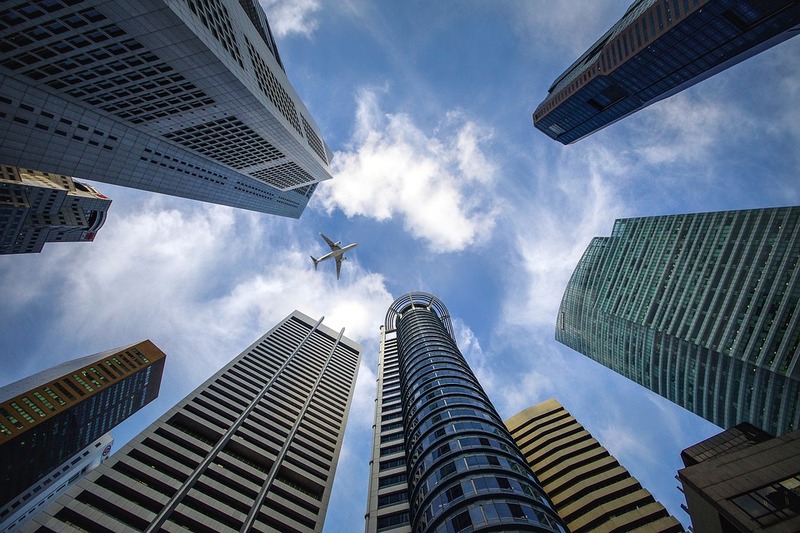 According to expert accountants in central London, the finance area is a fundamental part of the development and sustainability of any business. Many SMEs focus on “what”, “how” and “who” to produce or develop their product/service. They often fail to pay enough attention to financial matters and related tasks. Many entrepreneurs feel more comfortable dealing with business or production issues than with financial matters. But, the finance area plays an important role in any SME. Your accountant needs to focus some of their time on these essential tasks, for the long-term benefit of your business. Register accounting operations and financial data. This is key to obtain the current and historical business information to plan and make the appropriate financial and business decisions. This function is as important as the following ones since what is not registered, is not managed. In other words, what is recorded is managed. Plan, analyse and evaluate the recorded information. 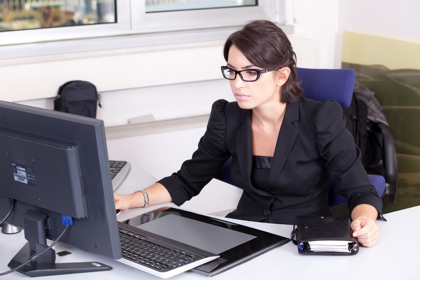 It is necessary to have in-depth knowledge of the business situation. This is done planning budget preparation, the flow of funds, financial indicators and cost analysis. With good financial planning, you can establish future objectives, payment and collection strategies, investments for future growth and greater profitability of the business. It will also help you anticipate any unfavourable situations which might occur. Search funding sources and select the most suitable. There are different financing options and each company should analyse which one best suits their needs. These include seed capital from various organisations, angel investors, family and friends and bank loans. Look for investment options that the business can benefit from. Select the ones whose profitability is commensurate with the financial capacity achieved. These might include several alternatives such as the acquisition of assets, new machinery, purchase of securities, shares or shares of mutual funds, and bank account deposits. Control the operations executed and registered. This will allow, if necessary, rectification of errors or omissions for the subsequent analysis of deviations in relation to the initially developed budget. The result will be optimal efficiency. Carrying out these key financial tasks is essential: it will allow the business to increase profits and avoid unnecessary problems. In your SME, do you have a person that deals with these functions? If not, now is the time to do something about it. Your business will benefit from it in the long run. What Is a Corporation Tax ID? A corporation tax ID is the tax identification number provided to a business entity that is registered as a corporation. There are two types of corporations. Both types of corporations allow shareholders to vote on business policies although the board of directors makes the final decisions. The percentage of taxes paid by any corporation depends on how much money it earned in profits. For example, a company that earns $50,000 or less in profits in a tax year will pay just 15 percent for taxes. A company that earns between $100,000 and $335,000 in profits will pay 39 percent in taxes. However, much larger corporations pay less in taxes than those making $335,000 in profits. A corporation earning more than $18,333,333 in profits pays just 35 percent in taxes. A federal tax ID number is important to your corporation for many reasons. If you intend to sell tobacco, firearms or alcohol, you will need a tax ID number. The number is also required if you want to hire employees, open a bank account under your company name or sign up for a business credit card. In addition, obtaining an employer identification number helps to present your business as a separate entity from yourself. This protects your personal finances by allowing you to keep your social security number more private as well as protecting your personal assets if your business ends up in financial trouble. Applying for your corporation tax ID number is as easy as answering a few questions on IRS-EIN-Tax-ID. The online application requests information about yourself and your company and helps you determine how the tax number will help your business. Once you submit your application, you can track it online. Most applicants receive their nine-digit number in a few business days. To learn more about the application process, contact IRS EIN Tax ID Filing Service.